Windows 10 will occasionally show suggestions on Timeline pane. This post shows how to enable/disable Timeline suggestions in Windows 10 V1803+. With the Timeline feature enable, your Windows 10 will occasionally show suggestions on the Timeline pane. These suggestions will be based on your past history of Windows usage. This guide will show you how to enable or disable these suggestions – in short how to manage Timeline suggestions at your end. 2. In the Settings app, select System. 3. Then under System, select Multitasking. 4. Finally, under Multitasking, toggle Show suggestions occasionally in Timeline option to On or Off to enable or disable Timeline suggestions, respectively. Once you’re done with your choice, you can close Settings app. You can also deploy this via alternative registry trick, as mentioned below. 3. In the right pane of ContentDeliveryManager registry key, look for the registry DWORD (REG_DWORD) named SubscribedContent-353698Enabled. You can double click on it and modify its Value data to enable/disable Timeline suggestions. 4. Use 0 as Value data to disable Timeline suggestions, while using 1 as Value data will enable Timeline suggestions. 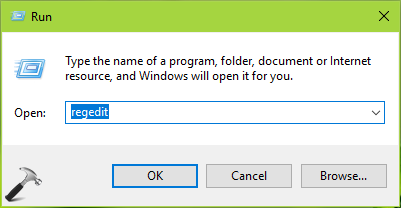 Click OK, close Registry Editor and reboot to make changes effective. So this is how you can manage Timeline suggestions in Windows 10.